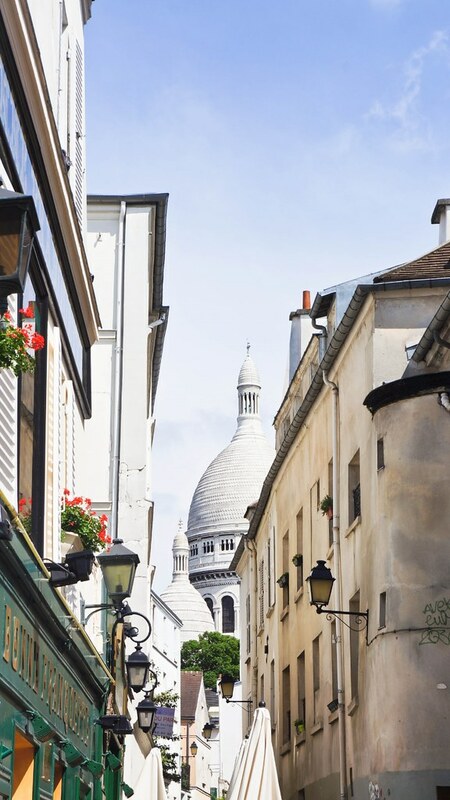 Here’s a little postcard of the iconic Sacré-Coeur peeking through one of the winding streets up in Montmartre. There is something so quaint about the apartments up in that area which has a lot to do with their imperfect structure and slightly dilapidated walls. It’s nice to find a side of Paris where its beauty lies not in its grandeur but in its imperfections and individual characteristics. Imagine having that view from your flat! It’s incredible. This is one of my favourite spots in Montmartre – it’s a view that you could almost miss if you let the crowd distract you while walking by, it’s if you manage to stop, it’s that much more special. Beautiful shot.